This sounds great Andy, however what do (former mayor and new business and economy deputy) Richard Leese, (power player and former Manchester council chief exec) Howard Bernstein and (Manchester city centre tsar) Pat Karney think about this? From the information we have been provided with it seems that Leese will continue to have the large sway of the Devo (devolutionary budget) mayoral power and you will be pushed out to the outer regions. Maybe this is why Oldham and Rochdale were mooted as potential places for shelters. Will you have any real Mayoral power or is this just a token? Please, all we want is some honest conversation then we can move forward — here’s some for you, Leese is a snake in the grass. A man concerned with lining developers’ pockets and laughing in the face of those with real issues (yes we have people who experienced that from him) He’s shafted Manchester’s working classes and by the sounds of it he’s trying to shaft you. Ditch him and join real Mancunians. With regards to the quote, at least we are speaking the same language Andy. Why not get together at the Cornerhouse, we can open the cinema and have a proper conversation. No rehearsed questions just you, the squatters, Network Rail, GMHA and any other organisation with an interest? Burnham, whose star power as a former Labour MP, cabinet member, and failed leadership contender helped parachute him into the mayorality this month, has landed inside a political circus no less vicious than the one he left in Westminster. Between them Leese, Bernstein and Karney are big dogs in Manchester politics and have been heavily criticised for their roles in “reinventing” the city as an attempted London clone, complete with dodgy luxury tower redevelopment deals and disregard for working class needs. I did not vote for Burnham to appoint Leese! Strategy or complicity? Leese of questionable property positions/biases, an autocrat who in our opinion and experience seems to loathe citizens’ opinions and always stonewall concerns and questions! He has never even tried with so many campaigners. It truly angers me. 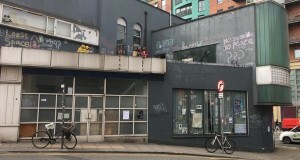 The Cornerhouse squatters, now numbering 50 people, have picked up significant local support over the last 19 weeks, putting on local arts nights with Loose Space and raising awareness about the city’s ongoing and worsening housing crisis. 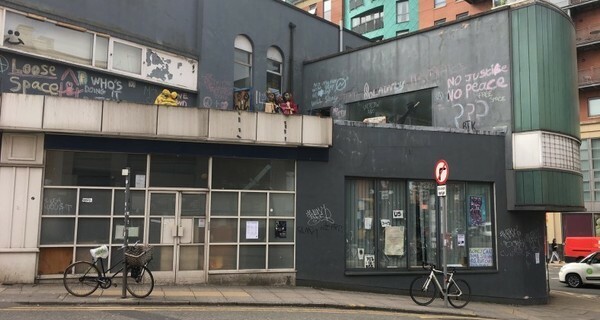 People living at the site have been on high alert for signs of another eviction attempt and have offered to vacate peacefully if Network Rail agrees to a compromise by helping six homeless people onto the Inspiring Change: Housing First initiative.